This product is nice and smooths any hair frizz, giving texture to hair which is what I wanted. I usually use a different serum but can't seem to get hold of it. I'm quite pleased with this one and you get more for your money. this serum is the best serum I have very tried and I have tried everything. it smells amazing and it makes your hair soft and defrised no mater if your hair is dry or wet. As well as you only have to use a little to make your hair soft, and if you use straighteners, it straightens your hair for longer. I'm a control freak ! 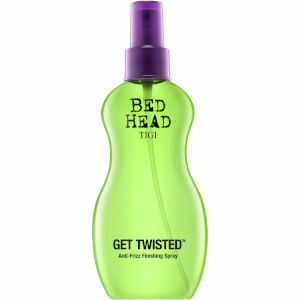 The best styling product ever. Leaves my hair smooth and straight. 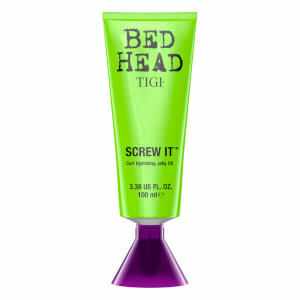 This Tigi Bed Head Control Freak Serum is an excellent product. It makes my frizzy hair very smooth. Been using this for years. I have short hair with long fringe, this stuff makes my hair soft and smooth. Smell is really good too, not too sweet or strong like the most of Tigi products. I do love this product. It really helps my hair to stay on place and not to get frizzy. I use it with wet hair and then I blow dry it. My hair feels very soft and frizzfree+ it has a really good smell. 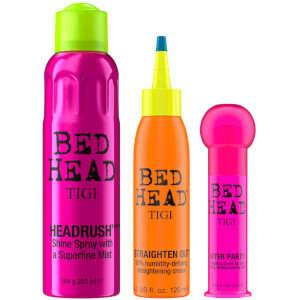 Tigi Bed Head Control Freak Serum (250ml) really helps!